With a Southern office in Sussex and a Northern office in Nottinghamshire, Crucial Environmental offers a range of asbestos services across the UK. With a friendly and professional approach, we thrive on personal recommendations and aim to ensure every customer is a satisfied customer. We provide everything from testing and sampling to removals and surveys. Crucial Environmental originated in South East England with an office in Worthing. With an experienced team and a dedication to providing superb service to our customers, we developed an excellent local reputation. Our success here meant we were soon offering a full range of asbestos services across the South East from Sussex and Surrey through to Hampshire and London. We have recently expanded our operation by opening a Midlands office in Nottinghamshire. We now offer our full array of asbestos services across the Midlands and the North of England including in Nottingham, Leicester, Derby and beyond. We specialise in all forms of asbestos services, including providing asbestos surveys, testing and sampling, and removal work. This can be as an aspect of asbestos projects or to help you create management plans. We can ensure compliance by determining whether asbestos containing materials are present within the premises, assessing the risk and producing a comprehensive, proactive management plan. We work with affiliate HSE licensed asbestos removal companies to provide a one-stop solution to your asbestos obligations. We treat each project individually and maintain a completely professional approach throughout whether it is taking a single sample or a major housing contract. Our surveys are experts in their field and remain courteous and open throughout the process. What can Crucial Environmental do for you? 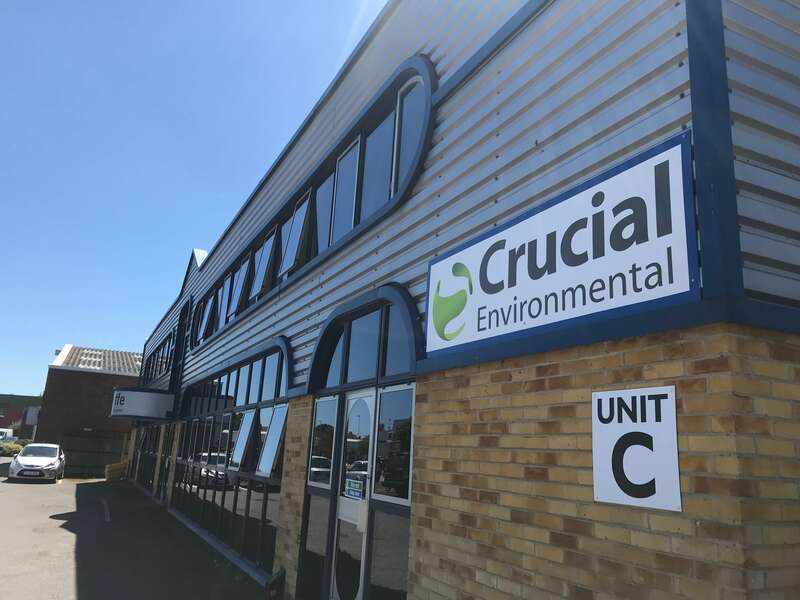 If you require any form of asbestos services, the team at Crucial Environmental would be happy to talk you through your needs. We can then offer you a full range of options whether you are a homeowner, a building manager or a landlord. Contact us today for more details by calling 01903 297818 (Sussex office) or 01623 711080 (Midlands office).